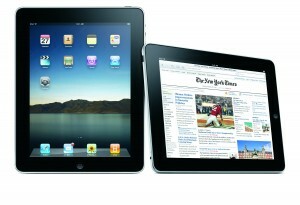 Apple is apparently planning to release two new iPads in the next month according to a series of rumors circling today. The rumors started after a number of sources began to talk about the possibility of a new series of iPads shipping in January and from what they’ve said in the past it definitely looks like there are multiple devices on the way. Apple already has a scheduled event in January, iWorld, which is likely when the new iPad or iPads will be debuted. We don’t know when exactly the iPad will be available for sale but if the announcement is any indication it will probably not be long after, probably in late January or possibly February. Either way it looks like the possibility of twin iPads is still there too so until the official announcement we really won’t have any idea what Apple is planning to do down the road.